Canada’s largest newspaper chains seem locked in a bizarre standoff with the federal government, demanding financial assistance while killing off community newspapers as if they were hostages. A major round of executions came almost a year ago, when Postmedia Network and Torstar Corp. traded 41 mostly Ontario titles and closed 37 of them. The occasion of “Newspaper Week” saw Torstar chair John Honderich author a column on Tuesday that resembled nothing less than a ransom note. Under the headline “Where is Ottawa’s help for Canada’s newspapers?,” it listed 25 defunct dailies and 112 closed community newspapers for a total of 137 titles that have ceased publication in the past decade. Honderich wanted to know where the $50 million was that Ottawa had promised in February’s budget to assist Canadian journalism over the next five years. “One or two exploratory talks have been held but there has yet to be even a request for proposals,” he groused. “Maybe next year, we are told.” Of course, the promised $50 million is a far cry from the more than $1 billion the industry had requested last year in a bailout bid that Ottawa couldn’t quash fast enough. On closer inspection, however, Honderich’s list of dead papers doesn’t pass the laugh test. It includes more than a dozen titles Torstar killed off after its swap last year with Postmedia, and almost two dozen more it sent back the other way to be euthanized. Executives of both companies swore up and down they had no idea the other planned to close the newspapers they traded, but their denials were never convincing. The Competition Bureau soon came knocking with search warrants issued as part of its investigation on rare criminal charges of conspiracy. Documents submitted to the Ontario Superior Court to obtain the search warrants detailed a written agreement dubbed “Project Lebron” after the basketball star. In them, Postmedia and Torstar reportedly agreed not to compete for years in the markets they vacated and even on the almost 300 workers who would get the axe. The companies and their executives are now facing the possibility of charges that could bring $25 million in fines and 14 years in prison. Two dozen more community newspapers on Honderich’s list were B.C. titles closed or merged this decade by Black Press or Glacier Media. The provincial chains provided the template for Postmedia and Torstar by trading almost three dozen titles between them from 2010-14, then closing most of them to eliminate local competition. Of the 13 paid circulation dailies lost in Canada from 2010-16, nine were killed by Glacier or Black Press (no relation to Conrad). Their dealings somehow avoided the Competition Bureau’s notice, perhaps due to them being out of mind way out on the west coast. This no doubt emboldened Postmedia and Torstar, who may still be able to use the regulatory inaction as a precedent to allow their collusive closures. Honderich’s list of defunct dailies also includes a number of freebies that once littered our porches and transit stations unbidden, such as the Peace Arch Daily News in tiny tourist town White Rock, B.C., which briefly circulated 3,700 copies from Tuesdays to Fridays before retreating to twice weekly publication in 2014. Nine were commuter dailies which proliferated a dozen years ago under the successful model pioneered worldwide by Swedish company Metro International. Metro editions sprang up from coast to coast in Canada in partnership with Torstar, which recently rebranded the survivors StarMetro. Quebecor responded by launching 24 Hours papers in numerous cities and now-defunct Canwest countered with its short-lived but hilariously titled Dose. The model has been in retreat everywhere since the bursting of the print advertising bubble a decade ago left room for only one in each market. Last year Torstar traded Metro Ottawa and Metro Winnipeg to Postmedia and got back 24 Hours Toronto and 24 Hours Vancouver, all of which were closed. Yet according to Honderich we are supposed to lament their passing, along with those of 24 Hours Calgary, 24 Hours Edmonton, Metro London, Metro Regina and Metro Saskatoon, as some great loss to democracy. Puh-lease. Honderich’s count of 112 closed community newspapers at least comes with names, unlike others who have come up with inflated totals by using the questionable research method of “crowdsourcing.” It almost seems like an industry campaign to railroad Ottawa into a bailout. But for those who have studied Canada’s newspaper industry intently, a bad odor emerges. “This is such a distortion of facts that it isn’t funny,” blogged Ontario author Alexandra Kitty in response to Honderich’s list. A former community newspaper journalist and author of the brilliant new book When Journalism Was a Thing, which is a compendium of corporate crimes against the craft, Kitty knows from personal experience that most of the defunct small-town newspapers hardly churned out quality journalism. The stories in those local newspapers were happy, happy soft news junk. It is not as if local papers were in the habit of uncovering real items. They covered photo ops of local corrupt politicians. They never bothered pointing out the open affairs they were having and how they rewarded their mistresses with patronage appointments, for instance. But what Honderich and others who inflate the magnitude of Canada’s newspaper shakeout ignore is that not only do they close, but in the normal course of events they start up as well. The annual count kept scrupulously by the Canadian Community Newspaper Association shows there were only 10 fewer titles last year than there were in 2011, before which it counted only its member titles. The total fluctuated considerably in between, however, as community newspapers tend to come and go. At least, they tend to come and go unless you allow corporate collusion and non-compete agreements. Then they only go away, along with competition. As I have done no research on linear scheduled television, I will focus in answering Professor Nielsen on whether print has a future. I submit that he needs to get out from under his own filter bubble and consider data-based, peer-reviewed research of which he is either unaware or perhaps simply ignores because it contradicts his cocksure consensus. I would argue that considering different types of data is important in researching a question in order to get different perspectives and thus a better grasp on it. Take the future of print. The overwhelming consensus, of course, is that print is dying. Even supposedly skeptical scholars assume as much simply from reading headlines that tell of falling newspaper circulations, multi-million-dollar corporate losses, mass layoffs of journalists, and even the bankruptcy of numerous newspaper chains. Failing to understand how the newspaper business works, and having no inkling of the arcane rules of accounting, they neglect to look under the hood to diagnose what is really going on. 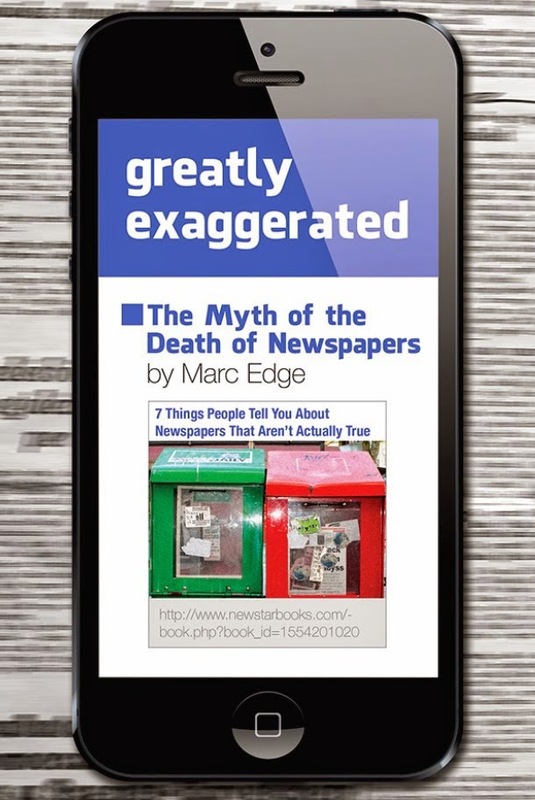 That is what I did for my 2014 book Greatly Exaggerated: The Myth of the Death of Newspapers, (PDF) which was based on data published that same year in the peer-reviewed and A-ranked Newspaper Research Journal. (PDF) I’ve had lots of reviews written of my books, but never before one of a journal article I had written. The European Journalism Observatory took note of this one, but perhaps that didn’t register in the hallowed halls of Oxford, where Nielsen is Director of Research for the Reuters Institute for the Study of Journalism. I even took them a copy of my book the last time I was in town, but I guess it somehow fell through the cracks. I looked at the financial statements of all publicly-traded newspaper companies in the U.S. and Canada from 2006-2013, a period during which print advertising revenues fell by 62 percent in the former and 36 percent in the latter. (They have continued to fall.) Using the standard profitability measure of EBITDA – earnings before interest, taxes, depreciation, and amortization – I found that despite this shock to their business model, none of the chains suffered an annual loss in any year during this period. Most were still making double-digit profit margins in 2013. Some had profits as high as 20 percent. It turns out those multi-million dollar losses the headlines reported were mostly on paper, as under standard accounting rules companies may deduct from their operating profits the reduced value of their business as an “extraordinary” loss. The newspaper chains that went bankrupt were actually among the most profitable. They only went broke because their owners took on too much debt in making acquisitions before the advertising bubble burst and they were unable to service that debt with reduced revenues. Their newspapers, being profitable, continued publishing throughout and emerged on the other side under new ownership. Unfortunately they often went to cagy hedge funds which had bought up their distressed debt for pennies on the dollar and are now squeezing them for everything they’re worth. Their shrinking circulations and the mass layoff of journalists are newspapers’ way of coping with reduced advertising revenues. Newspapers counter-intuitively lose money on every copy sold, so printing more and trucking them farther and wider now makes little sense. They more than make up the difference, of course, by selling advertising, for which there remains sufficient demand to keep their core business well above water. Most of their needed cost cutting, unfortunately, has involved throwing journalists overboard. This is undeniably bad, but the “adapt or die” meme that emerged a decade ago after a few second-place dailies folded has seen newspapers stubbornly survive. Most have sought more revenues from readers by boosting their cover prices and erecting paywalls that require payment for digital access. More recently I have focused on UK newspaper companies with similar but more varied results. Some titles, such as the venerable Times, lost money for years before bringing in the paywall, which has put them in the black. At the Guardian, they simply asked readers to send them money while keeping online content free. Millions of pounds have since poured in, all but assuring its future. Other researchers have found rich datasets that corroborate my findings, such as Keith Herndon in a forthcoming Newspaper Research Journal article and Miriam van der Burg in her recent dissertation on the Belgian newspaper industry. Iris Chyi and Ori Tenenboim of the University of Texas recently found that the 25 largest U.S. dailies more than doubled their subscription prices on average between 2008 and 2016, with the price increases accelerating after 2012. The French have a saying: Plus ça change, plus c'est la même chose, which translates as “the more things change, the more they stay the same.” Media are undeniably changing. It would be folly to claim otherwise. The question is how radically the media landscape will change, ie. whether the future will be online only or if print and broadcasting will endure. Empirical evidence is mounting to support the latter conclusion, at least as far as print is concerned, however unpalatable that may be to digital usurpers like Nielsen. For him to better foresee the future will require him to broaden his perspective. 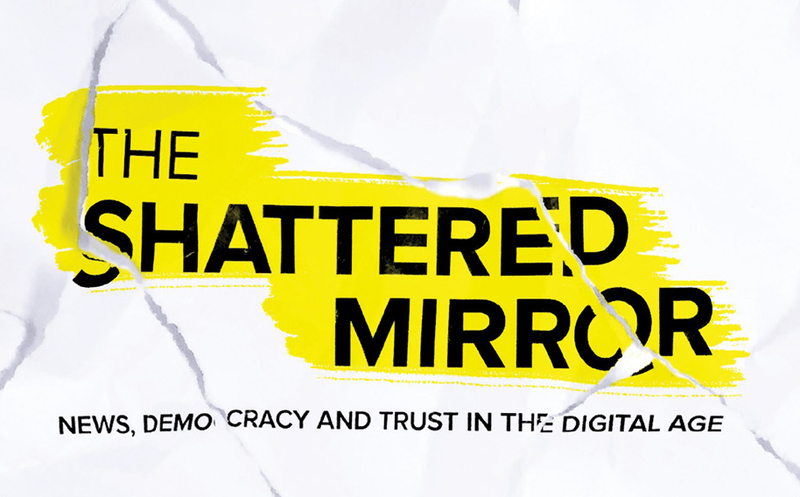 A report on Canada’s troubled news media released by the Public Policy Forum recently – titled The Shattered Mirror – extends the reflective analogy used by Senator Keith Davey’s study of mass media in 1970. “In the decades since Senator Davey declared the media mirror ‘uncertain,’ it has cracked and now appears shattered,” states the think tank headed by former journalist Edward Greenspon, which was hired by the Heritage committee studying Media and Local Communities. Yet the PPF report is more like a funhouse mirror that grossly distorts reality in at least one key media industry. 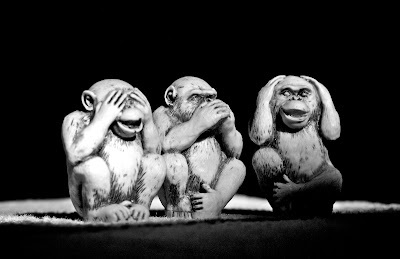 Not only does it buy into the Big Lie that has surrounded newspapers for years – that they are losing money and thus dying – the report seemingly does its best to promote that myth. It repeats the canard that industry dominant Postmedia Network is bleeding red ink by mentioning that the company lost $352 million in its fiscal year ended last August 31. That’s only if you deduct a $367 million “impairment” charge that reflects the reduced value of Postmedia’s business on paper, plus a raft of other extraordinary expenses such as the $42 million cost of severing staff. Otherwise, on a cash-in/cash-out basis, Postmedia recorded operating earnings of $82 million on revenues of $877 million for a profit margin of 9.3 percent, which sure beats buying bonds. What really dragged it down, however, was the $72 million in interest payments the company had to make on debt bizarrely held mostly by its U.S. hedge fund owners. That piece of financial engineering more than anything is necessitating Postmedia’s constant staff cuts and thus diminishing Canadian journalism. The PPF report is silent on the problem of U.S. hedge funds owning Canada’s largest newspaper company, which was inexplicably allowed by the erstwhile Harper government despite a supposed 25-percent limit on foreign ownership. Postmedia then bought 175 of the 178 newspapers owned by Sun Media, Canada’s second-largest newspaper company. That gave it both dailies in Vancouver, Calgary, Edmonton and Ottawa, but the Competition Bureau let the purchase stand because it somehow concluded those newspapers didn’t compete anyway. Postmedia then merged the newsrooms of its duopoly dailies in all four cities despite promising not to, effectively eliminating daily newspaper competition there. The PPF report gives the Competition Bureau a pass, noting only that it was “caught by surprise” by Postmedia’s broken promises. The company’s dominance might not be apparent in Toronto, where its Sun and National Post have competition from the Star and Globe & Mail. In the three westernmost provinces, however, it has a stranglehold with 75 percent of paid daily circulation and eight of the nine largest dailies. We wouldn’t be in this situation if Ottawa enforced our foreign ownership and competition laws. The report further perpetuates the newspaper death myth by pointing out that six Canadian dailies were closed, merged or changed publication frequency in 2016. Can you name them? I had to look it up. Most would guess the Guelph Mercury, which was shuttered a year ago to some consternation. The other five were small town dailies in B.C. and Alberta, only one of which was actually closed. Four of them were owned by the B.C. chains Black Press and Glacier Media, which have been carving up the province’s community press between themselves unhindered for years. The chains have been playing a real-life game of Monopoly since 2010, buying, selling and even trading newspapers back and forth and then often closing them to reduce competition. Black and Glacier have closed 19 of the newspapers they have exchanged, including non-dailies. More than half of the 15 newspapers the chains traded in one 2014 deal were subsequently shuttered. Of the seven paid circulation dailies that have died in Canada this decade through closure or merger (not lived on with a change in publication frequency), six were killed by Black or Glacier. As a result, Black Press (no connection to Conrad Black) now owns all but one of the newspapers on Vancouver Island, which is the size and population of New Brunswick. Has the Competition Bureau even noticed? But my favorite part of the report is where the PPF predicts that newspaper sales will fall to only two per 100 households by 2025, down from 18 in 2015 and 49 in 1995. How it came up with that projection, other than by using a lead weight, is beyond me. So ardently does the PPF promote the newspaper death myth that the heading for this section screams “THE END MAY BE IN SIGHT.” That may accord with the popular misconception, and with what the late American media critic Ben Bagdikian called the “myth of newspaper poverty,” which publishers on both sides of the border have promoted for decades to their great regulatory benefit. It doesn’t accord with financial facts, however, which I detail in my 2014 book Greatly Exaggerated: The Myth of theDeath of Newspapers. Their revenues have undeniably fallen off a cliff in recent years, but my research shows that no publicly-traded newspaper company in the U.S. or Canada suffered an annual loss on an operating basis between 2006 and 2013. That period included their steepest revenue declines ever during the Great Recession of 2008-09. Newspapers will survive as long as they remain profitable, which they show an uncanny ability to do. That’s because they are remarkably adaptable organizations and are able to make themselves smaller in short order, unfortunately by mostly throwing people overboard. This has weakened their journalism and endangered our democracy. We need digital media to pick up the slack, but they find it hard to compete for advertising revenue with Google and Facebook. The PPF report makes some interesting suggestions for measures to breathe life into Canada’s flagging news media. Changes to the country’s antiquated laws on charitable giving are badly needed to allow non-profit news media outlets to accept tax-deductible donations, as they can in the U.S. and other countries. The report’s suggestion of taxing Canadian companies that advertise with the American digital giants, then using the proceeds to subsidize Canadian news media, may be realistic depending on how it is done. Let’s hope that Greenspon and his researchers are better informed in those areas than they are on newspaper economics. Ken Goldstein dropped by the Poynter Institute recently. Who knows what he was doing in St. Petersburg, Florida. Maybe he was on vacation. After all, it’s c-c-cold this time of year in Winnipeg, where Goldstein lives. Or maybe he was there at the behest of a client. His firm Communic@tions Management Inc., according to its website “provides consulting advice in media economics, media trends, and the impact of new technologies on the media.” FULL DISCLOSURE: Goldstein and I have locked horns before, on the letters page of the Vancouver Sun way back in 2002. He was then executive vice-president and chief strategy officer of Canwest Global Communications, which owned the Sun and most of the other major dailies in Canada. That was before its leadership ran Canwest into bankruptcy, forcing Goldstein to hang out his shingle as a consultant. Back then my complaint was about a Sun column Goldstein wrote headlined “Newspapers’ dwindling role belies fears about monopolies,” in which he argued that Canwest’s overweening influence was nothing to worry about. You can see from the correspondence that Goldstein made sure he got the last word back then. That won’t happen now that I have a blog. Ken Goldstein -- Canada's media "expert"
Down in St. Petersburg, Goldstein got the ear of Rick Edmonds during his visit to Poynter’s campus. (Endowed by the late Nelson Poynter in the 1970s, the Poynter Institute runs journalism education programs, does much journalism research, and also publishes the St. Petersburg Times.) 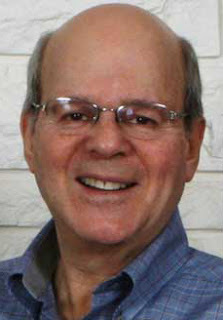 Edmonds is a media business analyst for Poynter and he co-authors its excellent annual State of the News Media report. So he’s fairly influential. You can see why Goldstein might want to tell him all about the woes of Canadian media, or at least his (or his latest client’s) version of them. And what a tale of woe Goldstein spun. Postmedia Network, the consortium of mostly U.S. hedge funds that took over the former Southam dailies after Canwest went bankrupt, has been dealt a “nasty” hand. A faltering economy and falling Canadian dollar have made it tough on the company because its enormous debt is payable in U.S. dollars. No mention of that fact that much of its high-interest debt is held by those very same U.S. owners, plus a Canadian hedge fund that financed most of Postmedia’s $316-million purchase of 175 newspapers from Sun Media. These hedge funds are sucking the company dry as a result, all the while complaining about how tough times are. According to the headline on Edmonds’ account of what Goldstein told him, “business model woes are running off the charts” up here as far as media companies are concerned. Things are so bad for Postmedia that it has been forced to implement “waves of layoffs and consolidations, some of the most draconian this January.” No mention of the contentious newsroom mergers at its dailies in Vancouver, Calgary, Edmonton, and Ottawa, which have now prompted federal hearings. No, the way Edmonds understood it from Goldstein, the newsrooms in those cities were “nearly halved and asked to produce separate reports for the two titles Postmedia owns in each market.” Well, that sounds a lot better than newsrooms being merged. Government, according to what Goldstein told Edmonds, is a “complicating factor” in Canadian media, what with the state-owned broadcaster CBC providing competition for the private sector. “And a Competition Bureau regularly considers whether to rein in concentration at the biggest chains.” Yeah, then it lies down until the feeling passes. Some complication. This promotion of the woes besetting newspapers in Canada is nothing new for Goldstein. Last summer, mere weeks before after Postmedia bought the Sun Media dailies (surely just a coincidence), Goldstein issued a dire warning. By simply projecting current trends to continue downward (which rarely happens), he predicted that within a decade “there will be few, if any, printed daily newspapers” left in Canada. Edmonds also picked up on that “expert” forecast. Except that such predictions were rampant in the U.S. following the collapse of newspaper classified advertising there during the 2007-09 recession. Among major dailies, only a flagging few folded. No major newspaper in North America has ceased publication since 2009 despite all the dire predictions, as I chronicle in my 2014 book Greatly Exaggerated: The Myth of the Death of Newspapers. The biggest threat is not so much to newspapers, which from the company financials I have examined are still profitable. The threat is to companies like Postmedia which own newspapers but are heavily loaded with debt which they may soon have problems paying off if their revenues keep falling. Newspapers are remarkably resilient, as has been amply demonstrated, because they can quickly downsize by cutting staff and other costs. They will thus continue publishing. They may have different owners, however. In the case of Postmedia, that would be a blessing. But wait, it gets better . . . I mean worse. Things are just as bad in Canadian television, according to what Goldstein told Edmonds. “TV stations in Canada are in roughly the same bad shape as newspapers. . . . Canadian local stations don’t have the saving grace of huge political advertising revenues and rising retransmission fees, which have kept TV so prosperous here.” No, we actually didn’t have a federal election last fall, with lots of advertising on TV. And remember those retransmission fees, which the networks campaigned so hard a few years ago to get the government to force the cable and satellite companies to pay them? As I chronicle in this article, it took the networks several tries, and a barrage of “Save Local TV” commercials, to get the right to negotiate retransmission fees. They sang the blues, claiming they were losing hundreds of millions of dollars, except that they weren’t, as one enterprising blogger discovered. But almost as soon as they won the war, the networks were taken over by those very same cable and satellite companies that were making even more money than the networks. This is the disastrous legacy of convergence, which 16 years ago saw newspaper and television companies frantically partner in a fruitless quest for ever-greater profits. Since it all collapsed, CTV is now owned by Bell, Global by Shaw, and CITY by Rogers. But here’s my favorite line from Edmonds’ account of his meeting with Canada’s media guru. “Goldstein told me that the four private stations in his home town of Winnipeg have collectively lost money each of the last nine years.” I think this one proves the old saw about how to lie with statistics. I am surprised to hear that there are four private stations in Winnipeg, as we only have three private networks, so I suspect there is a cable access channel in there bringing down the average. If you instead prefer hard data, as I do, luckily the CRTC keeps a close eye on broadcasting company financials. You will see from its latest annual monitoring report that the television networks are doing quite nicely. So, keep it up Ken. You’re doing a great job of twisting the facts to the advantage of Canada’s bloated media companies. Good thing nobody’s watching. I have been nominated by Terence Corcoran for an award he calls the Most Pompously Wrongheaded Argument for a Government Bailout of the Newspaper Industry. My nomination cannot stand, however, because I am actually opposed to government subsidies for Canada's press. Mr. Corcoran quoted me from a CBC panel discussion as pointing out that Scandinavian countries are highly ranked for press freedom despite subsidizing their press, but he ignored the following quote: “I have to agree with Lorne [Gunter], that most self-respecting journalists would not want to see government funding.” Mr. Corcoran is also incorrect when he states that the 1969 Davey commission on the media proposed a Press Ownership Review Board that would have issued licences and guidelines. The Davey report made no mention of licensing, which is anathema to press freedom. The proposed Press Ownership Review Board, similar to one in the United Kingdom, was to approve – or, more likely, disapprove – newspaper sales or mergers. Such a board’s basic guideline, according to the report, would have been that “all transactions that increase concentration of ownership in the mass media are undesirable and contrary to the public interest – unless shown to be otherwise.” Mr. Corcoran’s opinions might carry more weight if he could get his facts straight.